Twenty-six personal narratives celebrate the experience of young people making a new home in a strange community—finding common ground as they make new friends, learn a different language, and share their unique cultural identities ... 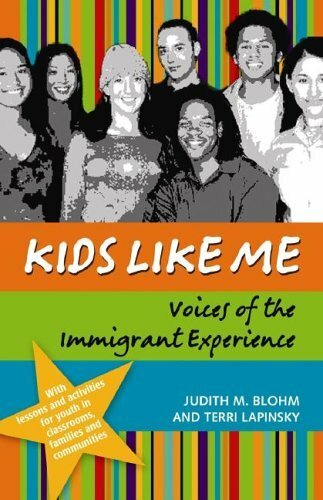 While written to help youth understand their classmates and friends, Kids Like Me also includes discussion questions, self-directed activities and research ideas for teachers and families that can be used in classrooms, clubs and community settings. Richly illustrated with photos and maps of each home country, the text presents countless opportunities to explore and understand new cultures and new friends. Young people who have come from places all over the world share their stories and invite their new neighbors to see that in so many ways these kids are just like me.